Adair MacTaren had come in friendship, but one look at the comely lass standing before him addled the young man's mind beyond repair. 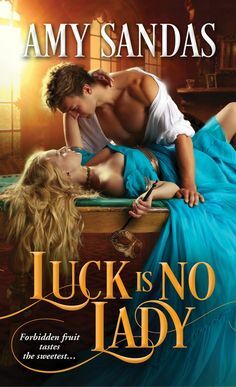 The tempting Norman lady lured him like a siren -- yet he had no wish to be rescued. 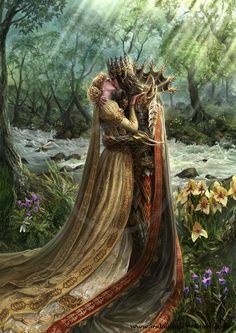 And 'twas no time before the brash chieftain's son had sworn to free Marianne from her loveless betrothal -- and claim her for his own ladywife! has already had her life mapped out, she is to marry a older Scot, who has plenty of wealth and connections to the King. Marianne doesn’t trust any of the Scots, she considers herself Norman and only wishes to marry a Norman. But when a group of Scots come in, her attention goes straight to the son of the Mactaren Laird…Adair. Adair has his future mapped out, and he always thought he would marry a Scottish lass. But there is a Norman woman, one that he finds compelling. When he learns that she is to be forced to marry a man she doesn’t want, and through a series of events, they find themselves married.Will they be able to find happiness despite their differing cultures and expectations? It has been quite some time since I have read a book by this author. I used to read her all the time, but I lost touch with her the past couple of years. And lately I have been wanting to read more medieval themed romances, and this one seemed perfect. It is set in the 1200’s and we see how this author has done her homework on the culture and differing feelings from the Scots and the English. There were many aspects of this story that I really enjoyed. One of my favorites, was how this author combined historical data with the love story and made them go hand in hand together in a way that makes you thirst for more stories just like this one. What we have here is a love story that starts off with mistrusts and not the best circumstances, but we also see how these two try to do everything that they can to make their marriage work, and learn the values of patience and communication. I loved how Marianne learns to endear herself to the clan, and learn their ways and tries to cultivate it into her life so that she can be accepted as one of them. Adair learns the value of being honest and patient, and what a good hero he was. He could be rash and prideful and definitely have a temper, but at the heart, such a good human being. I loved how these two worked together and they were definitely fully compatible once they got over certain misunderstandings…but it was quite fun seeing them work through things. A sensational story, that takes you back to the medieval time period, with the passion and captivating writing…witty and romantic! !